As much as we love our retail giants like Target and Bath & Body Works, there are actually so many lesser-known companies out there that are just as good. Just take a look at our selection in Spring Add-Ons – the members-only sale (which is open to all members now) features a medley of smaller, up-and-coming brands across multiple categories like beauty, fashion, wellness, home, and more. Meet oVertone — your one-stop shop for healthy hair coloring. Its daily color-depositing conditioners and intense treatments keep colored hair bright and hydrated, so you don’t have to worry about the color fading or becoming brassy. Plus, oVertone is dedicated to reducing its impact on the earth by keeping its products vegan and cruelty-free (it even has a PETA certification!) and prints its marketing materials with soy-based inks and recycled paper. Skin care doesn’t have to be confusing or complicated. The brand is dedicated to simple skin care, meaning no wild marketing claims that waste your precious time and money. Through its extensive research and work with respected cosmetic labs, Maelove’s mission is to make elite skin care accessible to all women. KOMONO, which translates to “small things,” was founded in Belgium in 2009 and has been making waves in the accessories industry ever since. Its sleek designs and minimalistic aesthetic really shine in the brand’s collection of watches and sunglasses. This isn’t your average jar of honey. Ever since Carly Stein, the founder of Beekeeper’s Naturals, discovered the healing properties of bee propolis, she’s become a tireless advocate for the preservation of the waning global bee population. She uses her brand to increase awareness around sustainable beekeeping and improve the health of bees and humans alike. Akar Skin is committed to delivering the purest and most nutrient-dense products to improve your purity and wellness. 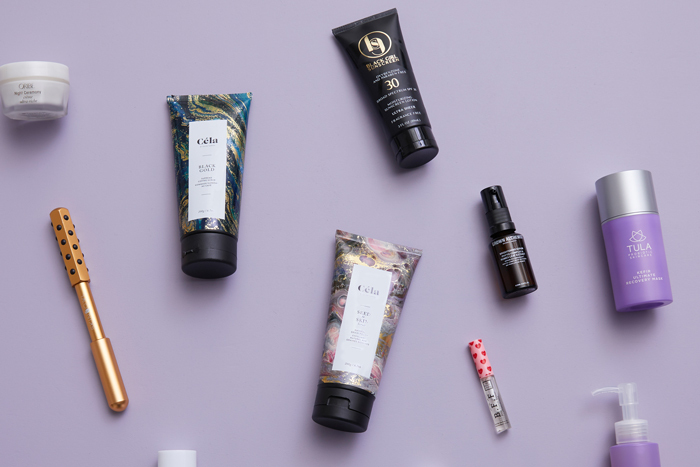 With traditional ingredients like sea buckthorn and goji berries from Tibet’s high plateaus, the brand’s mission is to contribute to the revival of the clean and effective beauty industry without compromising environmental impact. The female-founded company is on a mission to help people live healthier lives and make clean beauty the mainstream. The aluminum-free deodorant is carefully crafted with naturally-derived or safe synthetic ingredients to be 100 percent non-toxic. There’s absolutely nothing to wine about with this brad. Not only are its booze-friendly products high quality and chic, but the brand gives back in a meaningful way. Five percent of its online sales go toward a nonprofit that helps bring clean water to those who need it. After years of being frustrated with her limited sun protection options, founder Shontay Lundy created the natural sunscreen brand with women of color in mind. It’s the company’s goal to help women of color stay protected while educating the community. Thanks to Gustus Vitae, cooking is about to get a lot more fun (and tasty). The artisan spice and herb blends and gourmet seasonings can completely transform an average meal into a delightful experience for your taste buds. Eco-friendly, hypoallergenic, and highly effective – what more can you ask for in cleaning products? From the laundry room to the kitchen, Nellie’s is dedicated to its core values of honesty and simplicity by using safe ingredients. Ready to shop these amazing brands and more? Head to fabfitfun.com/add-ons now to get started (sign up today if you’re not already a member! ).